What kind of engine are you looking for? 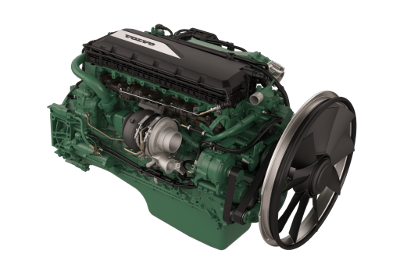 All Volvo Penta gasoline engines and sterndrives listed carry a 2-year factory Limited Warranty (North America only), except for engine-only packages which carry a 1-year limited warranty on approved applications only. *EPA $500 core charge applies to all 5.0 GXi, 5.7Gi and 5.7 GXi models. All models feature power trim and tilt standard. Please note: Volvo Penta recently revamped its model designations. We have added a column with current models but retained many of the old model numbers for your reference. While it is not a legal requirement, we strongly recommend to all our customers to establish a relationship with their local Volvo Penta dealer. Your local dealer has the expertise and training to ensure that your engine or engine and drive package is installed correctly, the sea-trial is successful, and the engine registration is completed properly. 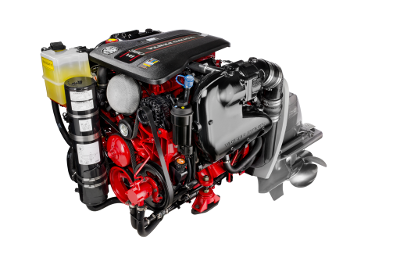 The new D4, D6, D9, and D12 series engines require that you have a local Volvo Penta dealer use a VODIA (a portable computer that dealers have and have been trained to use) to set up your engine's computer. This set up with the VODIA must be done after the engine has been installed and then the VODIA is used again during sea-trials - often the same day. Low pricing on shipping too! completely rebuilt from the block up. Volvo Penta 4 and 8-cylinder gasoline engines are offered with a catalytic converter. All the models are available with an Aquamatic sterndrive and one of the V8s also with Volvo Penta IPS. The environmentally hazardous emissions,mainly hydrocarbons (HAC) and carbon monoxide (CO), are radically reduced with catalytic converters. The engines satisfy the most comprehensive requirements, CARB 4 star Super Ultra Low Emissions. 1-year factory warranty for approved applications. EPA $350 core charge applies to all models. The new generation SX drive is the best single propeller alternative in the market. The wide rudder area gives precise handling - especially important for close quarters manoeuvrering. Top speed is maximised by the hydrodynamically designed lower housing which also host technically advanced transmission features. SX is a solid base for true boating fun! • Hydrodynamically improved design giving better speed and performance. • Even more durable internal drive train for longer service life. • Lower weight for better performance. • Reduced maintenance need (e.g. only 2 anodes and maintenance-free gimbal ring). • Higher capacity through-the-drive exhausts for greatly reduced sound and smell. • Integrated speedometer pick up. The new generation DPS Duoprop drive is perfectly matched for V6 and V8 gasoline engines. Built for performance and driving fun, it is the perfect companion aboard a sport boat, sport cruiser, sport fisher, bow rider etc. Protected by a revolutionary titanium-ceramic coating and new sensor technology, OceanX is Volvo Penta’s answer to the corrosive effects of salt water! The OceanX drive is chromate-free. OceanX’s titanium-ceramic coating is applied using a state-of-the-art electro-deposition process. The coating greatly improves corrosion resistance – up to four times more resistant – making OceanX perfect for salt water boating. The titanium ceramic coating is highly durable, flexible and covers the entire drive for maximum protection. OceanX offers an entirely new level of protection! • The Drive sensor monitors the quality and level of the drive’s critical gear lubricant. • The U Joint Bellows sensor alerts if water intrudes in the bellows area. * Water-in-Drive and Water-in-Bellows sensors are not available with diesel engines. ** Visual warnings only available with optional EVC displays. Match horse power, add to engine price. Volvo Penta engine letters: what do they mean? DP = Two propeller stern drive. Propellers (that turn in opposite directions) feed each other water to make for a more efficient drive. If you repower with an "E" engine, you will need electronic controls. Most items on this page will be shipped by motor freght. UPS and Federal Express small package services have a strict maximum weight limitation of 150 lbs. Please specify if you have a loading dock or forklift to handle your delivery. Otherwise, some additional charges may apply for bringing a truck with an equipped lift-gate to lower your new engines to the ground.